Patients have the right to see and get copies of their records within thirty (30) days of request. The patient has a right to see anything in the record. Copies may be made and will be charged at the going rate of five (5) cents per copy. Patients have the right to request restrictions on who sees their records. Any request that is unreasonable will be dealt with on an individual basis. Patients have the right to receive communications about their record in a confidential manner. In this office patients will be given a form to fill out stating how they would like to be contacted. Patients have the right to amend their records when they disagree with the content but physicians have the right to deny these requests. A record cannot be changed but a line may be drawn through the disputed entry. The physician may then write an addendum. Patients have the right to know everyone to whom the office discloses record information for purposes other than treatment, payment, and health care operation. A log, as required by H.I.P.A.A., will be kept showing each disclosure and the person to whom it is made. This will also show what information is provided and the purpose. This office will only log in the releases for which the patient's authorization is required. 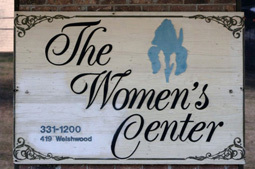 The Women's Center holds record information confidential but will use it for treatment, payment, and health care operations. Our physicians and staff will use the information to give you the best possible medical care. Our office will use the information for business purposes such as quality improvement and to send you pertinent information.  Health information will be given to family members in case of an emergency or under other circumstances with proper authorization and documentation.  Health information may be given to other physicians under emergency conditions.  Information may be given to the proper authorities when neglect or abuse is alleged or suspected.  Information may be provided to courts or other agencies when a subpoena is given to this office.